Assisting with service desk requests. Research new software/hardware for business requests. Work directly with Project Leaders to analyze, design, implement, test, and support applications. Represent the needs of business departments to IT, keeping abreast of technology concerns, including the need for new or additional equipment, applications, or infrastructure services. Perform other duties and assist with special projects, as assigned. Undergraduate with coursework in an IT related field of study. Strong communication skills, including written and verbal. Resourceful self-starter with a strong sense of urgency. Strong professionalism and customer service skills. About Sheetz: Sheetz, Inc. is a fast-growing, family-owned, food/convenience company that has been in business since 1952. 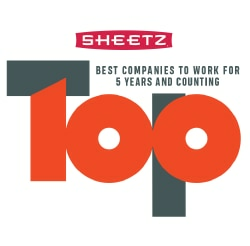 Sheetz has numerous locations in Pennsylvania, Ohio, Virginia, West Virginia, Maryland and North Carolina where we have ranked Best Places to Work in those states participating in that program.